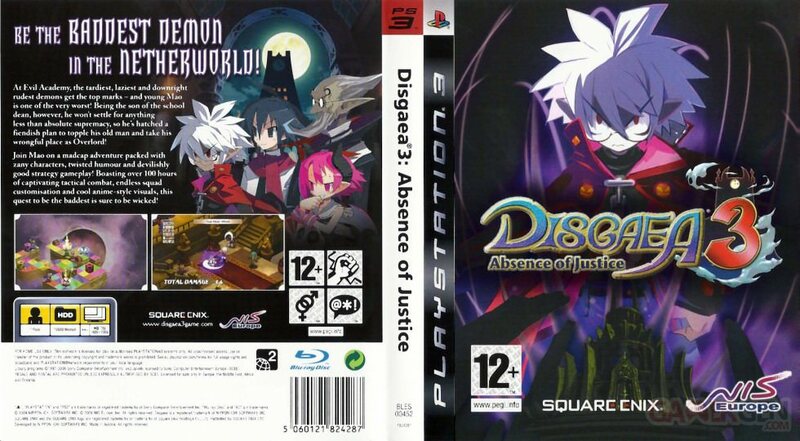 Description Disgaea 3: Absence of Justice is a tactical RPG on PS3. The player follows the exploits of Mao, the most esteemed student of the Evil Academy, despite the fact that he has never attended any class or opened any class book. Mao dreams of overthrowing his father, the president of the school, and therefore decides to become a hero to achieve it.